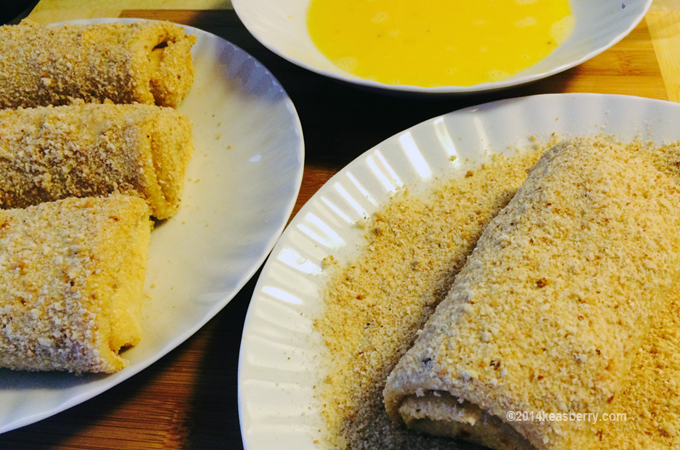 One of my earliest food memories involve risolles, a breaded deep fried pastry with savory ingredients – also spelled rissoles or risoles. I remember eating them in the car as a kid while we were on our way to our family vacation destination in Spain. While dad was driving, mom was in charge of the snack box. My brother and I sat in the back seat. When we were not playing games or fighting she tried to keep us happy by feeding us. Some years later while on road trips the snack box ended up in between us on the back seat. Which made us in charge of the snack box to our joy. The risolles is a well known snack within the Indo community and can be found in both Holland and Indonesia. This multipurpose snack can also act as a main course or side dish. When you look into the history of this popular bite you can see its roots go all the way back to Portugal, hundreds of years ago. It’s offspring landed in different countries in Europe, South America, Australia and New Zealand. The most common filling of the Dutch-Indonesian version is with minced meat or chicken ragout (made with roux). Just recently I was inspired to fill the risolles with a Californian mix of ingredients. It happened while I was eating a ham ‘n cheese sandwich. I asked myself the question; Why not put that in the risolles? And from one thing came the next as I also started adding avocado (buttery and smooth tasting) and jalapeño (a well known local green pepper which is mildly hot) for the zing. Combine that with some mayonnaise and you got yourself a California Risolles. In a large mixing bowl, whisk together the flour and one egg. Gradually add in the milk stirring to combine. Add the salt, beat until smooth. Heat a lightly oiled frying pan over medium high heat. Pour or scoop the batter onto the pan. Tilt the pan with a circular motion so that the batter coats the surface evenly. Whisk the 2nd egg in a bowl. 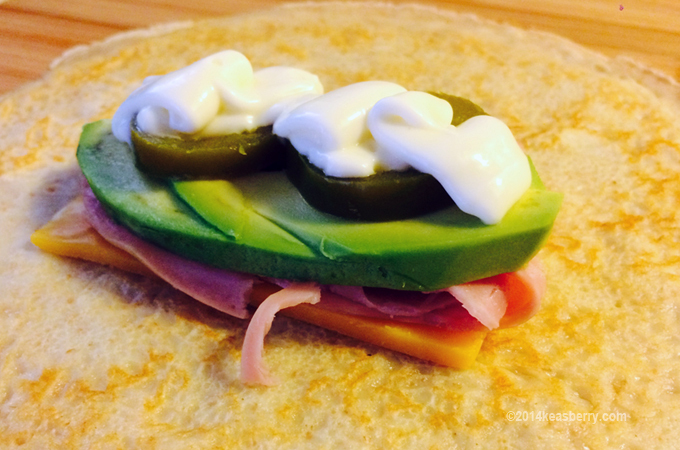 Take one crepe and put a slice of cheese, ham, avocado and some sliced jalapeños on top of each other. Top it off with a dab of mayonnaise. Fold the sides in over the the filling and roll from the bottom to the top. Brush a bit of the egg at the end to help seal the risolles. Roll the risolles in the egg and then roll in the bread crumbs. Deep fry all the risolles until golden brown. Put on paper towel to drain. Serve warm with chili saus.